Politics Mailbag: Surrogates, Headlines, And Superdelegates : NPR Public Editor More election-related concerns from listeners. Democratic presidential candidates Hillary Clinton and Sen. Bernie Sanders stand on stage before a Democratic presidential primary debate March 6 in Flint, Mich.
Election related concerns continue to roll in to the Ombudsman's office, as is to be expected in any election year, and even more so when the rhetoric and anxieties are as heightened as they are in this cycle. Many of them are being forwarded to the newsroom, but one interesting issue arose that seemed particularly worthy of a public airing. "It is Super Tuesday, a critical day in the nominating process for both parties and ALL candidates," wrote Ohio listener Susan Kamp on March 1. "During this four-hour program there were two surrogates for Hillary interviewed in fairly lengthy, separate sessions (her campaign chair from 2008 and Al Franken) and not one with a supporter of Bernie Sanders." I looked at the rundown for the show at NPR.org and was not crazy about what I saw. There are two problems. One, as the listener notes, the show did seemingly include two separate interviews with Hillary Clinton supporters: Sen. Al Franken, from Minnesota, and Patti Solis Doyle, her 2008 campaign manager. In addition, there was a third story that, from the headline alone ("Clinton Camp Hopes Super Tuesday Proves Her to Be the Dominant Candidate"), appeared to also be about Clinton. I'll tackle the second issue first: Headline aside, the story itself was a balanced look at the battle for the Democratic nomination, with reports from the correspondents assigned to the Sanders and Clinton campaigns. The headline did not reflect that, however, and that is an issue that has come up repeatedly recently. I also heard a complaint about this one—"In Alabama's Rural Black Belt, An Uphill Climb For Bernie Sanders"—which seems to promise a look at how Sanders is courting African-American voters, but it is almost entirely about Clinton's support there. URLs are a problem, too; this story's headline ("Democrats Elleithee And Gabbard: Voters Are Asking 'Who's Looking Out For Me?'") was fine but the URL, which many people pay attention to, is misleading. Headlines and URLs, especially, are often written in haste; there are challenges as to length; and NPR has only a few copy editors to oversee its vast output. But that should be no excuse; as I've written before, I believe the newsroom needs to take more care here. As for the March 1 Morning Edition rundown, I asked the newsroom why they would schedule two interviews with Clinton supporters in a single show. It turns out, they did and they didn't. The Solis Doyle interview was broadcast during the first feed of the two-hour program. The Franken interview was substituted for that interview in the program's second feed. "We replaced like for like, rather than featuring two in the same show," Sarah Gilbert, the show's executive producer, told me. The problem, however, is that some stations run the show over three or four hours, so they air both feeds. A listener such as Kamp who had the program on for three or more hours would have heard many stories repeated, but could also have ended up hearing both of the Clinton supporters. I do not know how many super-fans of the show actually do listen to the program and the repeat. But the concern is understandable. Finally, why were there two Clinton surrogates and none for Sanders? Surrogates who speak for campaigns are often coordinated by the campaigns themselves. NPR interviewed a Sanders surrogate, Rep. Tulsi Gabbard from Hawaii, on the Super Tuesday election special and the following morning, but had not been offered a surrogate for the morning of March 1. Nor, for that matter, has NPR been able to secure an interview with Sanders since November. Sarah Barrett, of Blacksburg, Va., wrote to my office to say that, following a lengthy interview All Things Considered host Ari Shapiro did with Clinton in January, "I expected a comparable series with Bernie Sanders. This, however, never came." Christopher Turpin, NPR's vice president of news programming and operations, told me, "My understanding is we have been trying hard to get Sanders repeatedly for another interview since November. He was supposed to talk with us in the run up to Iowa, but that fell through for some reason. We would be delighted to talk to him." One other comment about election coverage: I was pleased to see that NPR shows a breakdown of pledged delegates and superdelegates on its new-ish election tracker, along with a snapshot of delegates added in the last seven days. I've heard from many Sanders supporters who are upset that NPR seems overly focused on including superdelegates when it looks at the race for the nomination, since superdelegates can change their minds. 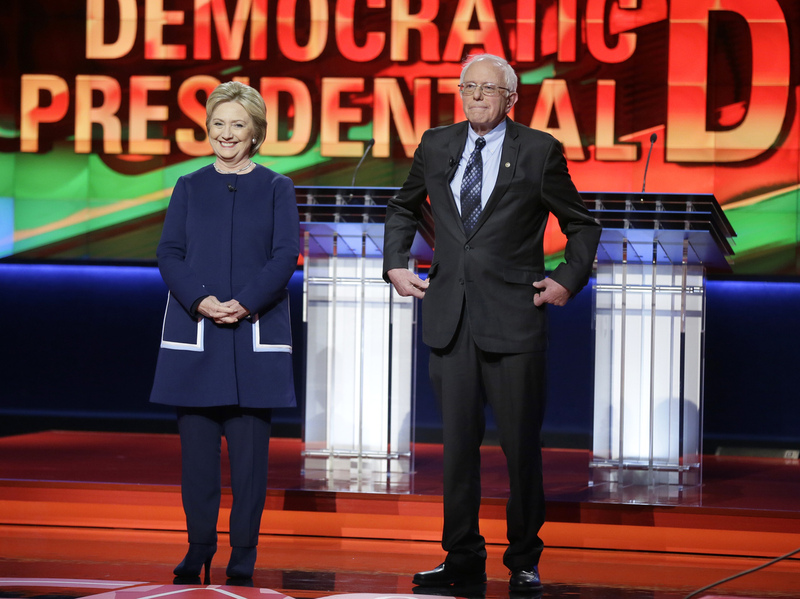 For more on the complicated superdelegate issue see this story from lead politics editor Domenico Montanaro. The day after this post was published, Senator Sanders gave an interview to All Things Considered. Listen here.